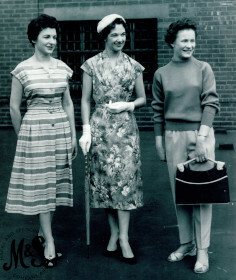 Join the M&S Company Archive to discover the history of fashion at Marks & Spencer. Did you know that French knickers were a best seller when M&S opened in Barnsley in 1937? Or that Twiggy first modelled for M&S in the 1960s? Looking at film, documents and original garments, find out how M&S has clothed customers since 1926. Includes light refreshments. Booking is essential, reserve your free place on Eventbrite.